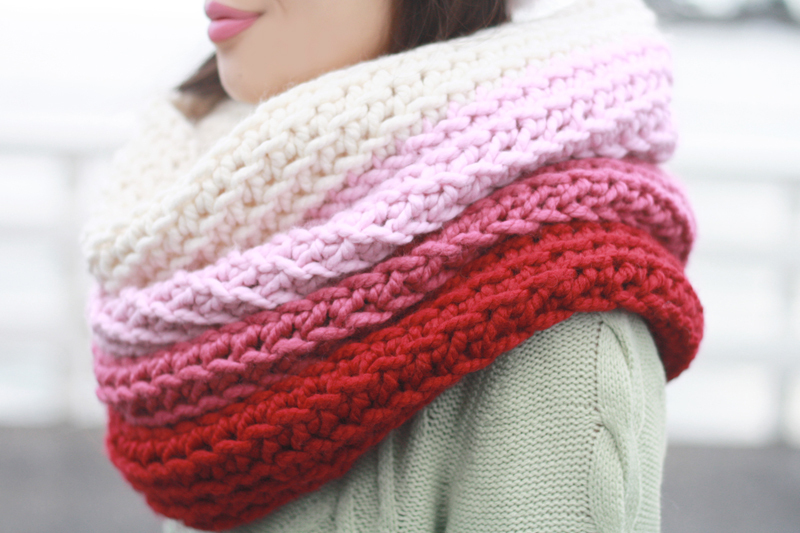 I couldn't think of a better way to start Valentine's week than with this incredible geranium ombre cowl! Victory Garden Yarn has done it again, her cozy creations are always beautiful and softer than you can imagine! 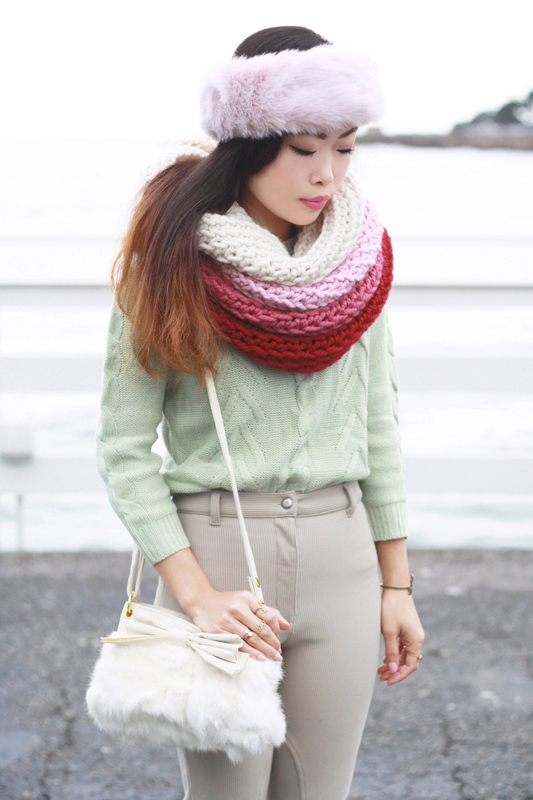 I love this geranium ombre cowl just as much as I love my snowdrop cowl, maybe even more! It looks like a layered cake and that is awesome! I wore a mint sweater, vintage high waisted riding pants, and a lovely pink faux fur headband from The Purple Genie. It has been raining the past few days and I've got to keep myself warm with cozy knit and plushy fur! Oh, and did I mention that Victory Garden Yarn is offering my lovely readers and followers a 10% off coupon code "itsme" to use in her shop? Hurry, offer ends 2/28! 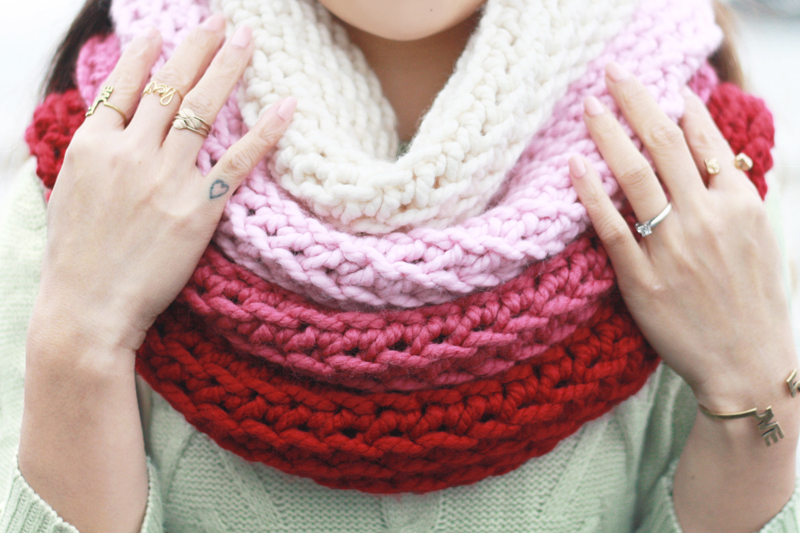 Geranium ombre cowl c/o Victory Garden Yarn. Pink faux fur headband c/o The Purple Genie. Vintage high waisted riding pants. Suede bow fur handbag from Hong Kong. Vintage two tone leather oxfords from Etsy. 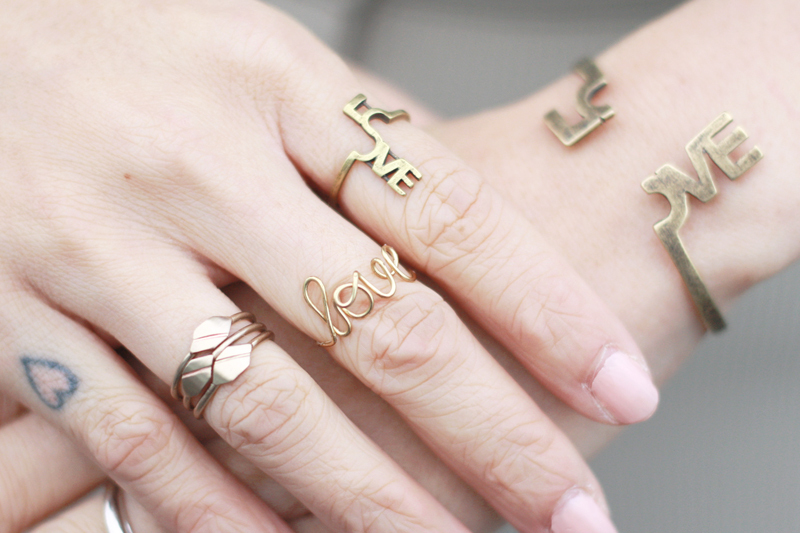 Love cuff and Love is tough ring c/o Love Nail Tree. Love wire ring c/o MarieKDesigns. Wow! First of all, that mint sweater is the perfect color -- reminds me of pistachio gelato actually, and it's making me crave warmer weather. And how amazing is that scarf! I kind of want all the color options now. Love the location of these shots too -- great post! 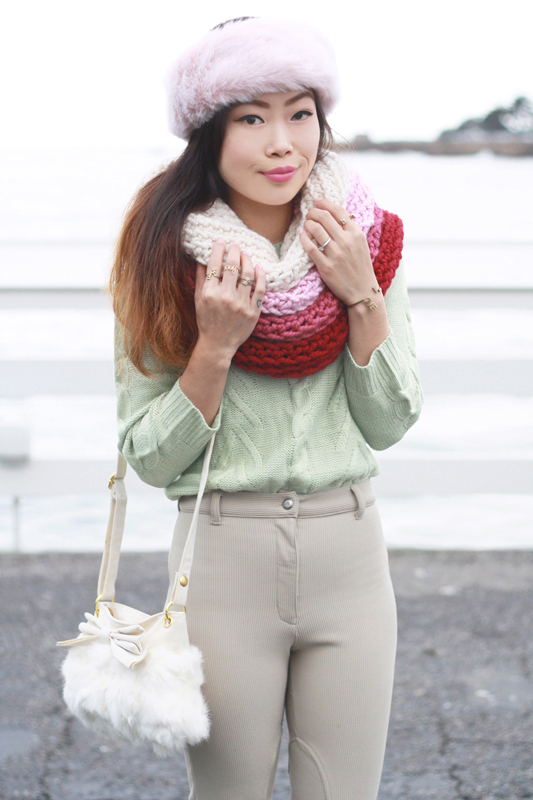 I love the colors in your scarf so much! It looks incredibly cozy and festive for Valentine's Day too. I'm loving the way those colors look with your mint blouse too. That cowl is just so amazing! I love all the colors! i love everything about this outfit. so girly and pretty! and the colors are gorgeous! that scarf is to die for..and those shoes! ok maybe the whole outfit it lovely! pretty colors!